When planning your wedding day, every detail has to be carefully thought out. The Venue, the Dress, Colour scheme. Location for photographs, The Ceremony Venue. All the little extras too. So many details so much time. Your wedding is 2 years away but you want to get the checklist done and start ticking off as much as you possibly can so that in the final months prior to your wedding day you can relax, as much as is possible of course. 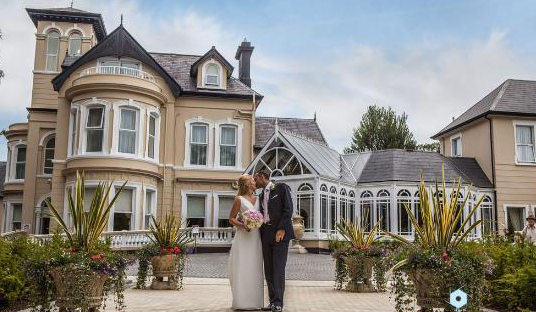 Our Bride chose the Tullyglass Hotel in Ballymena. Choosing the Kensington Suite for her reception, just off the conservatory. She wanted to keep as much of the charm and character in the room as possible. When she came for her first appointment she had a clear idea of what she would like to have for her room decor. I was so excited to do this wedding as her choices were so delicatley perfect, I couldn’t wait to see them brought to life. 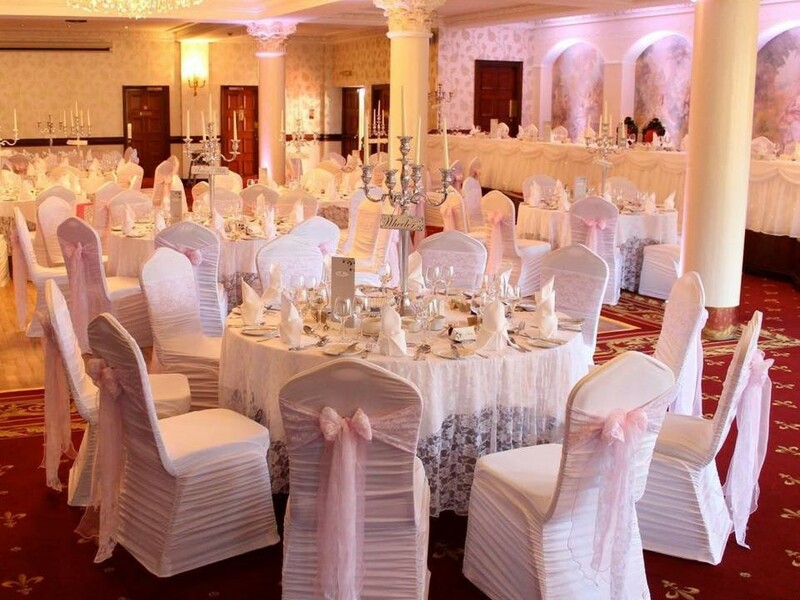 With soft white vintage lace table overlays, with matching vintage lace sash for the white ruched chair covers and a touch of her chosen colour soft pink. It really tied in with the mural behind the top table. We also added a white lace overlay for the guestbook table, fibre optic top table skirt with matching cake skirt. 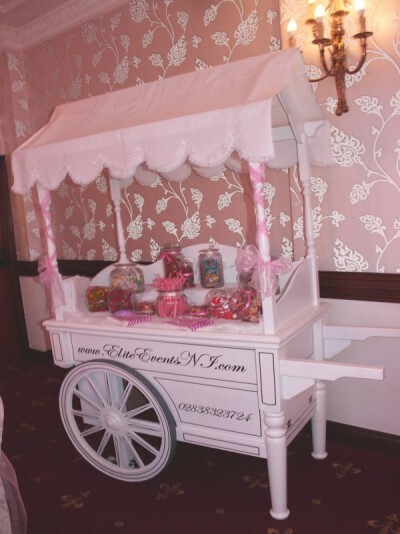 Silver candelabras for table centres and our victorian styled candy cart. It complicated the look of the room and the touch of pink just made a dream come true. When our Bride saw the room for the first time, she said “It was like walking into a fairytale”.